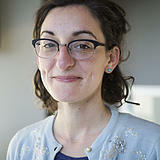 Erica Hunzinger brings several years of editing experience to the politics and education team. Before landing in St. Louis, Erica spent five years on The Associated Press' Central Region desk, handling a wide variety of topics with special emphasis on state government and agriculture and food supply. She also has been a sports copy editor at The News & Observer in Raleigh, North Carolina, and an assistant news editor at The News Journal in Delaware. Erica holds a master's degree in humanities from the University of Chicago (poetry) and bachelor's in journalism from the University of Missouri-Columbia. If you can't find her, try looking at Busch Stadium — or any other ball diamond in the region. 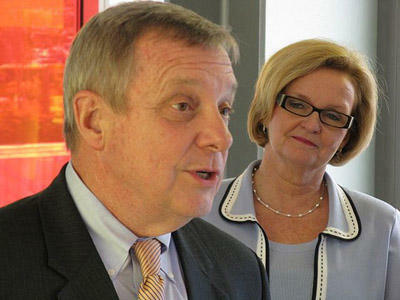 Missouri U.S. Sen. Claire McCaskill won’t vote for President Donald Trump’s Supreme Court nominee, the Democrat said in a news release Wednesday. After weeks of deliberation, McCaskill said she opposes Brett Kavanaugh’s nomination to the Supreme Court because of so-called dark money — donations to nonprofits that keep the source secret. Brett Kavanaugh’s Senate confirmation hearings for a Supreme Court seat loom large above the Missouri Senate race. Democrat Claire McCaskill, who is running for re-election, was asked on a conference call today whether she’s concerned about what’s being said during the hearings. She says she’s more worried about the thousands of pages of documents that were released earlier this week. Democratic Senator Claire McCaskill says she’s uncomfortable with the anonymous editorial that ran in the New York Times this week. The opinion piece was critical of President Trump’s actions in the White House and raised questions about his mental stability. McCaskill said today that though she often disagrees with Trump, she hasn’t seen anything worthy of starting impeachment proceedings. Updated Aug. 22, 2018 — Two research arms of the U.S. Department of Agriculture will be moving out of Washington, D.C. Three of Missouri’s U.S. representatives and one from Kansas said Kansas City is the perfect place for those agencies. 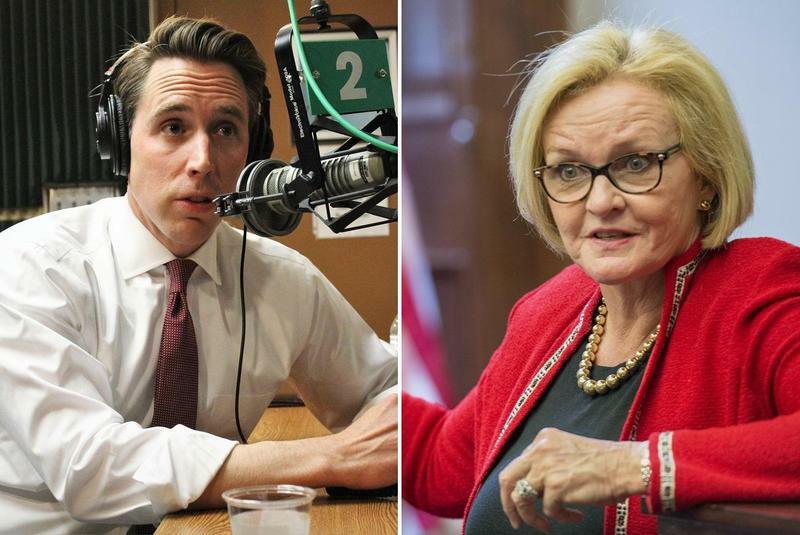 Tuesday is Missouri voters’ first chance to weigh in on statewide primary races — including choosing which Republican will take on U.S. Sen. Claire McCaskill in November — as well as a crucial union-related ballot measure. 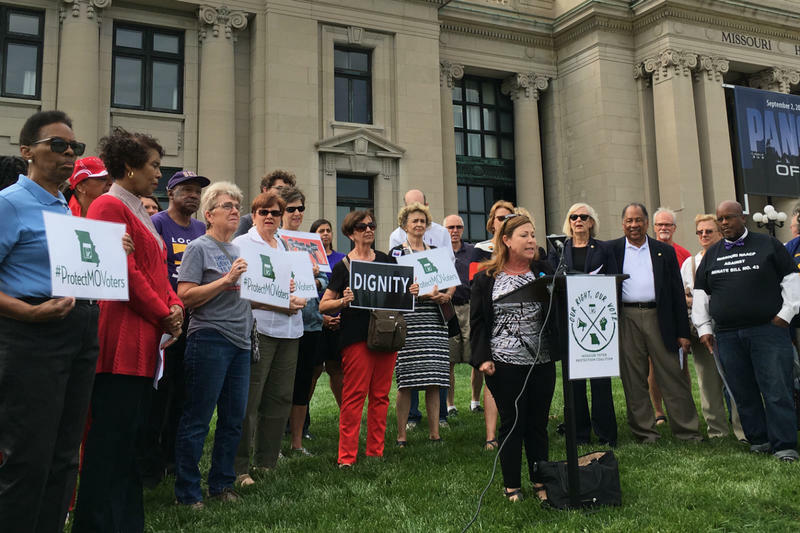 What follows is not an exhaustive list of races and issues on ballots around Missouri, but highlights the major statewide issues, as well as a few local races. President Donald Trump is coming to Kansas City on Tuesday in part to headline a lunch fundraiser for U.S. Senate hopeful Josh Hawley. It’s good timing: The Missouri GOP primary is two weeks away, and even though the attorney general is widely expected to win the Aug. 7 election, he’s lagging behind Democrat Claire McCaskill when it comes to the money race. Missouri Gov. Mike Parson signed legislation Thursday that will cut the state's top individual income tax rate to 5.4 percent next year. UMKC's new chancellor won't start the search for a new athletics director until he sees a "working blueprint for the future," he said Tuesday. C. Mauli Agrawal issued a statement about the athletics department, which is in transition after athletics director Carla Wilson was reassigned last week to the chancellor's office, where she'll be the senior director of student support services. Updated 1:45 p.m. June 15, 2018, with new amount due — The state of Missouri won't pay more than $120,000 to two attorneys former Gov. 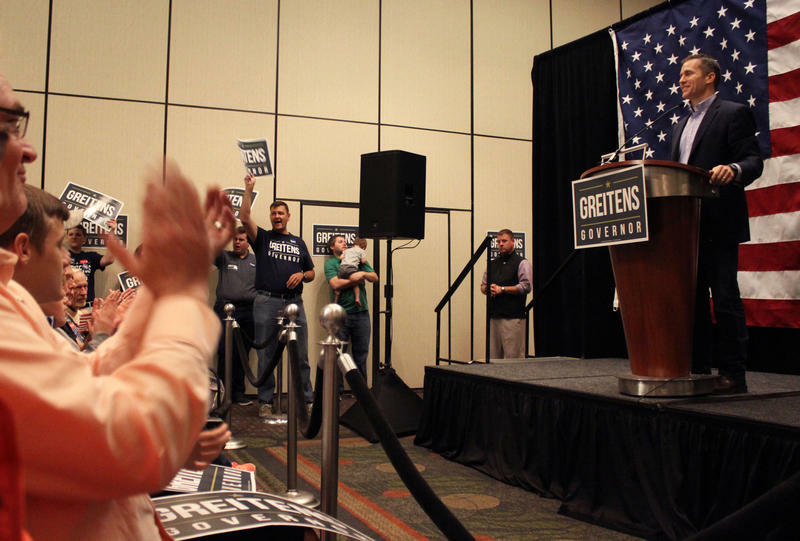 Eric Greitens' office hired ahead of possible impeachment proceedings, the state Office of Administration said Thursday. Former Missouri Gov. Eric Greitens knew there was "sufficient evidence" for the felony charge of computer tampering to go to trial, according to the unredacted agreement between Greitens and the St. Louis Circuit Attorney. People who work with federal food-aid recipients in Missouri and recipients themselves have said the state’s hotline is slow to answer phone calls. State data shows that at times, callers have had to wait up to an hour to talk to someone and that in May 2017, almost a quarter of callers abandoned getting through. Missouri’s Family Services Division started addressing those concerns in April and said it expects to have new software in place by July to make the call center more efficient and start the food-stamp interview process more quickly. A Missouri House committee report on Gov. 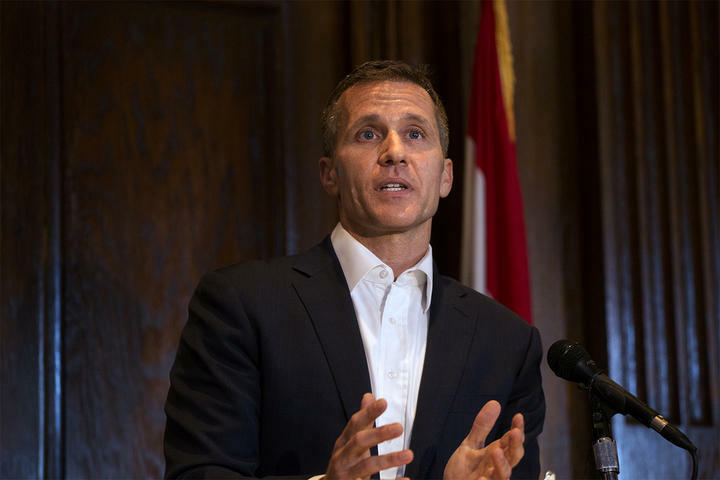 Eric Greitens contains graphic details about the affair between the governor and his former hair stylist, including an unwanted sexual encounter and a threat of blackmail. The ACLU of Missouri filed a lawsuit Friday against St. Louis and St. Clair County for alleged police misconduct during 2015 protests after Mansur Ball-Bey was fatally shot by police. 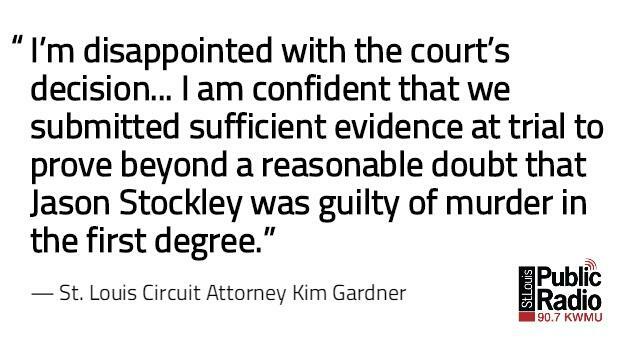 National, state and local elected officials have weighed in on the acquittal of Jason Stockley, a former St. Louis police officer who fatally shot Anthony Lamar Smith in 2011. Updated at 4:15 p.m. with comment from St. Clair County state's attorney — President Donald Trump’s election commission is bent on restricting Americans’ right to vote, members of the Missouri Voter Protection Coalition said Tuesday. The statements came the same day the Trump administration’s Presidential Advisory Commission on Election Integrity met in New Hampshire. The commission, headed by Kansas Secretary of State Kris Kobach, was set up in May. It asked states to send in voter registration records. 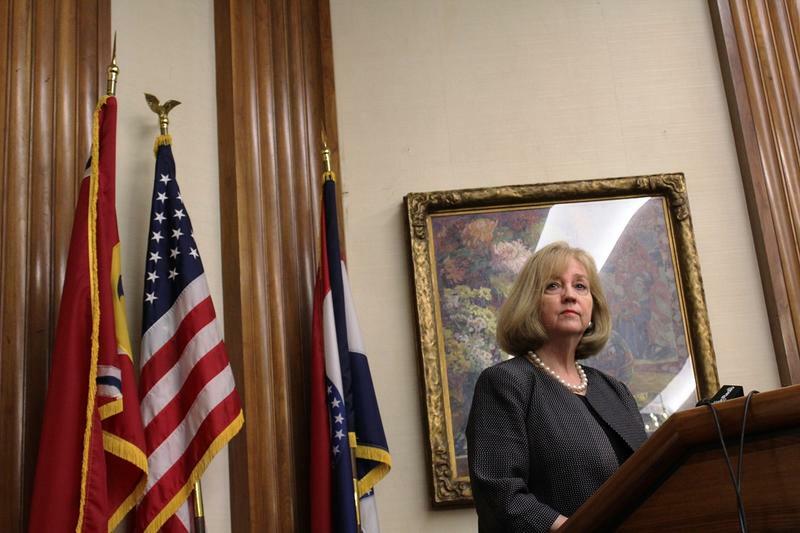 Though the timing of the verdict in the Jason Stockley case is unknown, Mayor Lyda Krewson called Tuesday for understanding and calm. Krewson put out a video in which she said she doesn’t know when a judge will decide whether Stockley, a former St. Louis police officer, is guilty of murder in the 2011 shooting of Anthony Lamar Smith. Updated at 3:30 p.m. with ACLU comment — Missouri Secretary of State Jay Ashcroft filed a motion Tuesday to dismiss a lawsuit against the state’s new voter ID law. Updated at 5:15 p.m. with McCulloch statement — Missouri Gov. 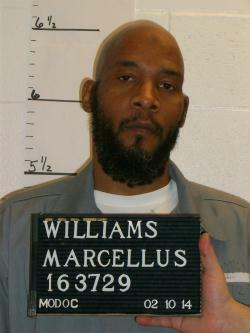 Eric Greitens cited new DNA evidence in postponing Tuesday’s scheduled execution of Marcellus Williams. Greitens also will appoint a five-member board of inquiry that will include retired Missouri judges. That hasn’t happened since 1997, according to Greitens spokesman Parker Briden. 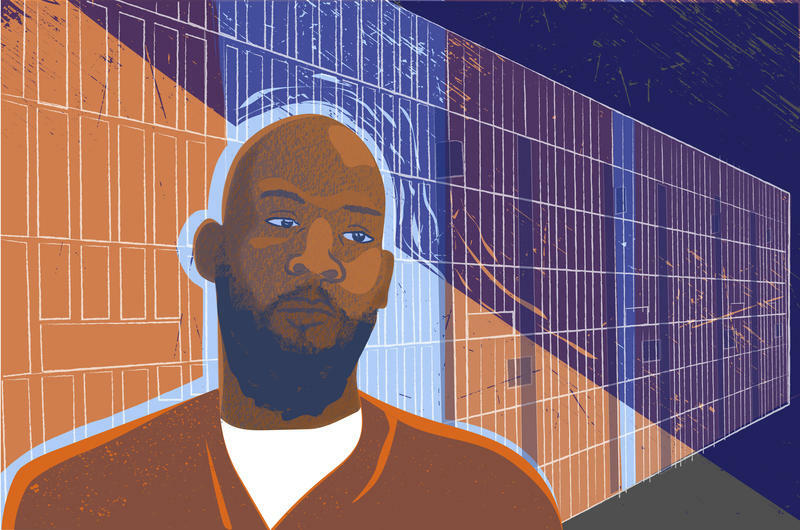 Missouri will use two of its 34 vials of the sedative pentobarbital on Tuesday when it executes Marcellus Williams, who was convicted in the 1998 killing of Felicia Gayle, a former St. Louis Post-Dispatch reporter. The state has enough pentobarbital for 17 executions, Williams’ included, according to a document obtained by St. Louis Public Radio. No one except the state of Missouri knows where the stockpile comes from, despite lawsuits from inmates and media outlets. Updated at 5 p.m. with comment from Williams' lawyer, governor's office — The Missouri Supreme Court will not stop next week's scheduled execution of Marcellus Williams, it said Tuesday. Updated at 4:45 p.m. to correct that the ruling may have violated Johnson's constitutional rights — A federal lawsuit filed by Dorian Johnson against the city of Ferguson, former officer Darren Wilson and former police Chief Thomas Jackson can go forward, the 8th U.S. Circuit Court of Appeals ruled Tuesday. 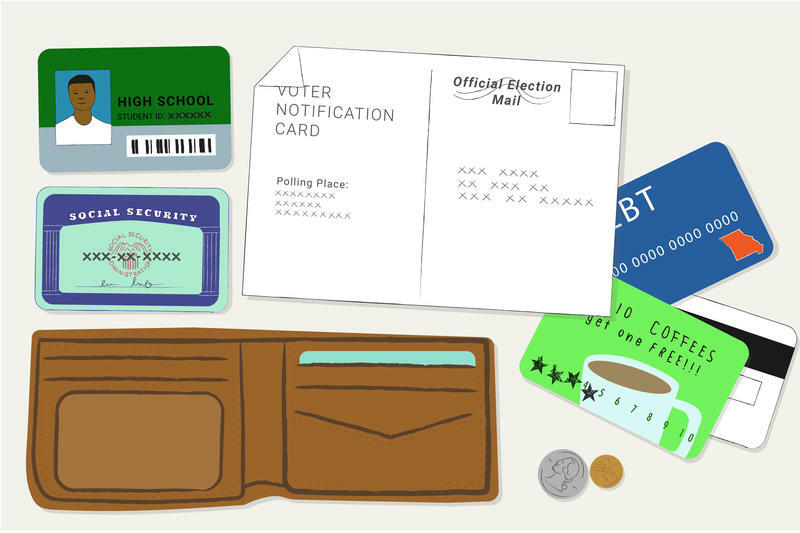 June’s arrival heralded a new era for elections in Missouri, one in which voters are expected to show identification before filling out a ballot. Any new law stirs up questions — especially when similar measures in other states make headlines again and again. Updated at 12:40 p.m. with comment from Secretary of State Jay Ashcroft — Civil rights groups sued the state of Missouri on Thursday over the funding for its voter ID law, which went into effect June 1. The lawsuit filed in Cole County Circuit Court argues that Secretary of State Jay Ashcroft’s office is not providing “mandated funding for voter education, free voter IDs and birth certificates and training of poll workers.” The suit was filed by the American Civil Liberties Union of Missouri, the national ACLU and civil rights group Advancement Project on behalf of the Missouri NAACP and the League of Women Voters. 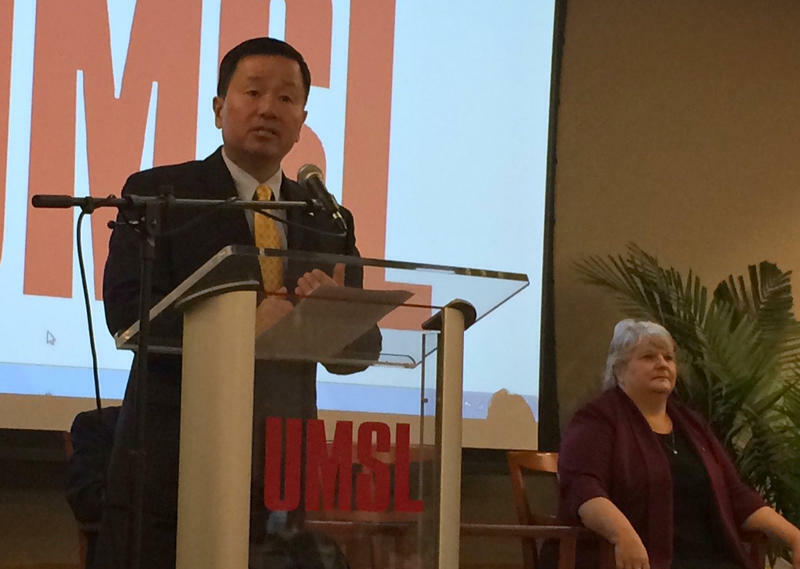 The University of Missouri System will cut more than 470 positions across its four campuses, President Mun Choi said Friday. More than half of those will be at the flagship Columbia campus, while the University of Missouri-St. Louis will see 30 positions eliminated. However, UMSL spokesman Bob Sample said, 25 jobs will be added in new areas. 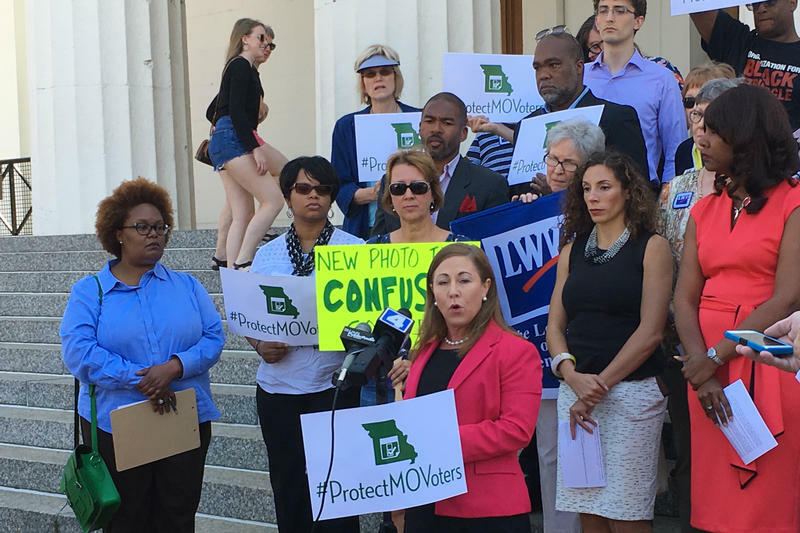 A day before Missouri’s new voter ID law takes effect, a coalition of civil rights groups and Democratic politicians warned Wednesday that the law could disenfranchise minority voters and older people. Updated at 4:15 p.m. with Kansas City Star receiving comment from Chambers — Missouri state Sen. Rob Schaaf has his hands in a lot of important legislation this session, yet he’s still made time to criticize Republican Gov. 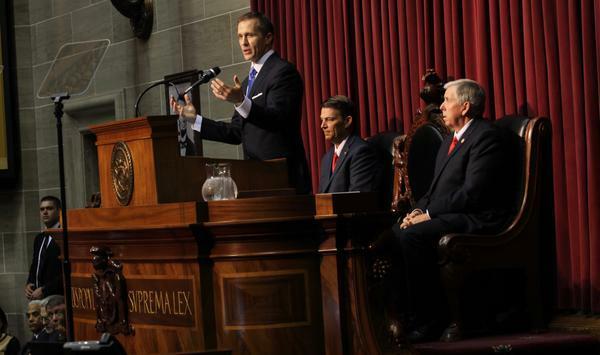 Eric Greitens over his new nonprofit. Democrats and Republicans who make up the St. Louis area’s congressional delegation say they support President Donald Trump’s decision to use missiles against a Syrian airbase after this week’s chemical weapons attack that killed dozens. Updated at 4:55 p.m. with Rauner administration response — An anti-abortion law firm has sued Republican Gov. 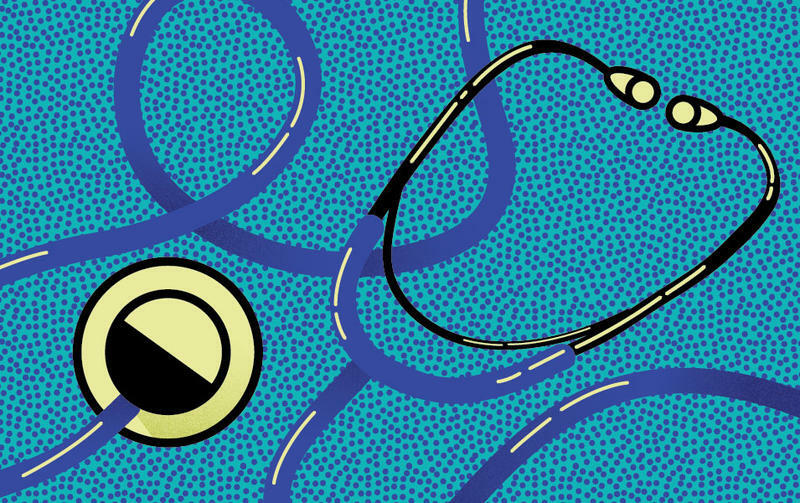 Bruce Rauner and the state of Illinois over a law that requires medical providers to tell pregnant patients that an abortion is an option. The lawsuit, filed last week by the Thomas More Society, claims the provision in the Health Care Right of Conscience Act that took effect in January, is unconstitutional and violates religious rights. The plaintiffs are seeking an injunction.